What do we think of when we think of pots? Well, you might say, they’re pots, you plant thinks in them and that’s about it. But I say no, no, no! 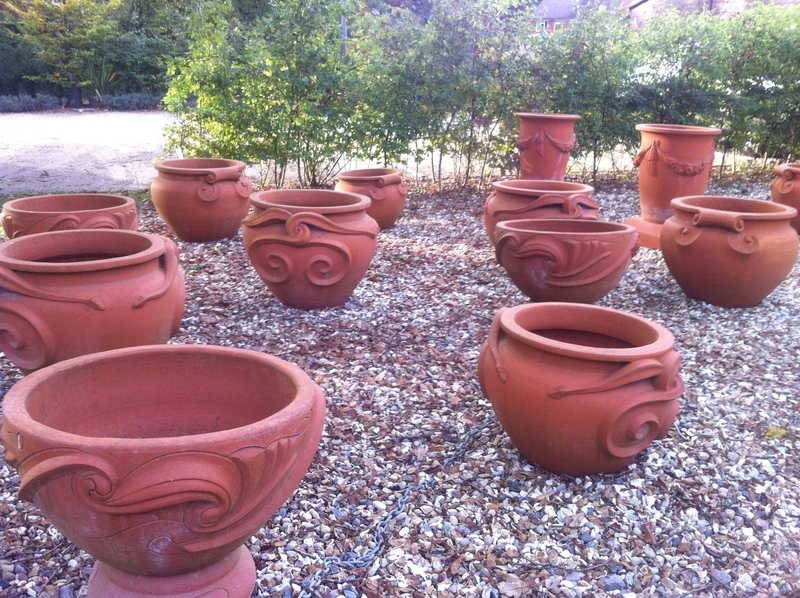 As beautiful as these artisan pots are, terracotta pots are often seen as being largely utilitarian, functional items in the garden, for containing feature plants. However, what if we looked at pots not just as terracotta tubs for keeping plants cooped up in, but as ornamental features in their own right? Well here are a few ideas to make you look differently at the humble plant cosy that is the pot. In contemporary designs, pots are often used to frame vistas in the garden. 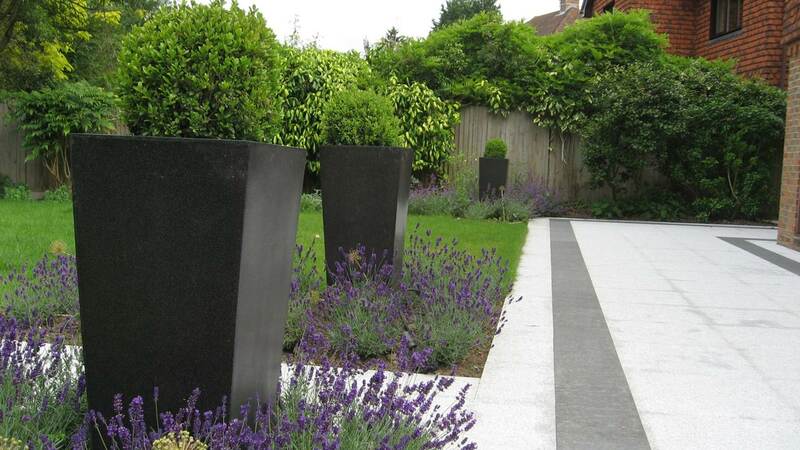 In the case of this garden, these faux granite pots were used as statement pieces in their own right. The were very effective at creating height amongst soft lavender planting. They are discreetly uplit to continue the effect at night. 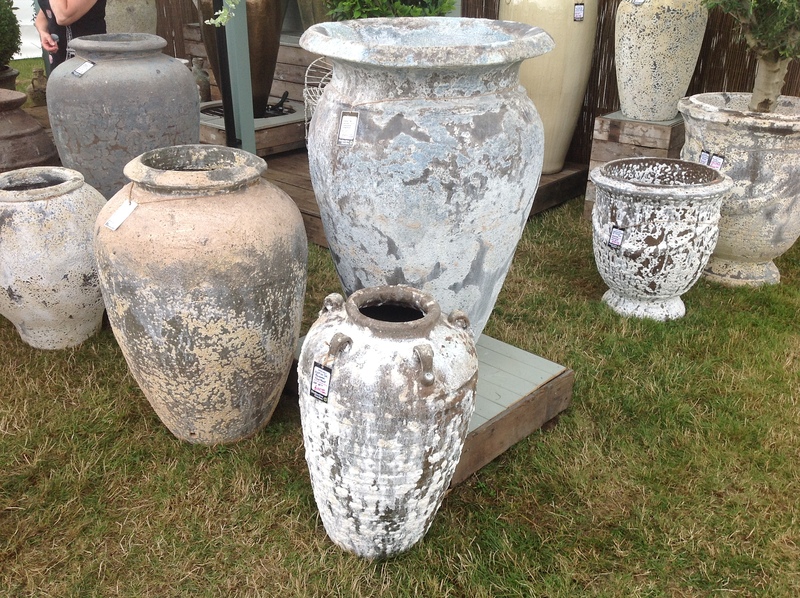 In contemporary gardens these style of pots can be used back lit on their own, unplanted. This makes a fantastic barrier or visual feature on its own. They do not need to be square like these ones. They can also be cylindrical or urn like. As long as they are in keeping with the rest of the design. Ever since the Ancient Greeks first began using clay urns (or protopots), the countries on the Mediterranean have had a fascination with pots of all kinds. Ranging from rustic designs, to ornate painted pots to mosaic coated marvels, adding something like this to the garden brings a sense of warmth and texture worthy of the Italian masters themselves…alright that might be over egging it but they are interesting and stylish. These pots come with age built in. I saw these at the Hampton Court Flower Show. The surface will quickly pick up mosses and other opportunistic plant forms which will make them even more integrated with their surroundings. When is a pot not a pot? Well if you loosen the definition of the term pot, you enter a whole different world such as old sinks turned into Alpine gardens or old lead water tanks used to create a great feature. But what about this? A recycled gothic font makes both a fantastic focal point in the garden as well as a super fab bath for the birds! The carving of the stone is a great thing to light up in the evening. In a different setting, if not too irreverent, it could also be used as a wine or champagne chiller. This one is simply a way of creating interest at the end of the garden, making the garden longer. It also matches the Gothic oak screen that eventually will hide the maintenance area in this garden. OK, technically these are not pots, but they are a great idea. 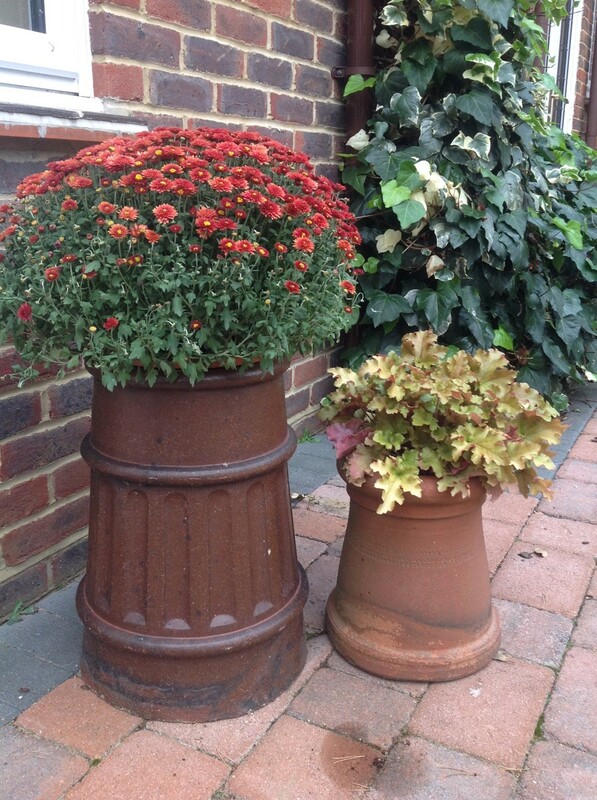 You can find chimney pots very easily (loads on eBay) and with a little work they make great planters, especially the ornate Victorian ones. Once a testament to the industrial might of an empire, now these wonderfully designed chimneys can be reclaimed by nature, overflowing with flowers and vines. A quirky focal point, a talking piece and simply a point of interest. They great advantage of using these pots in the garden is that they are already weatherproofed in the original manufacturing process. The new pots that you can pick up at your local garden centre and even some of the more upmarket pots on offer are not weather proofed as much as these are. A great advantage as out autumns become wetter and winters become colder. Think a pot can only be used to put a plant in? Think again. 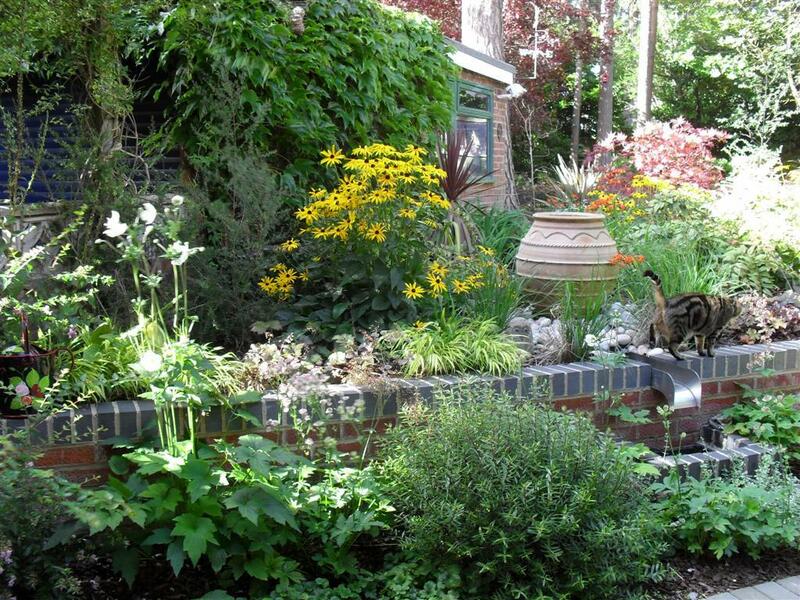 A ribbed pot can make a great, cost effective water feature simply by adding a pump and a sump underneath. Once full, the pot will appear to be endlessly overflowing, the ribbed structure creating a ripple of movement over the side. Very effective and so easy to do! This one was made a little more complex as the water ran into a hidden rill which ran over the retaining wall into a cistern before being pumped back up into the pot. So this produced very pleasing movement and great musical sound. 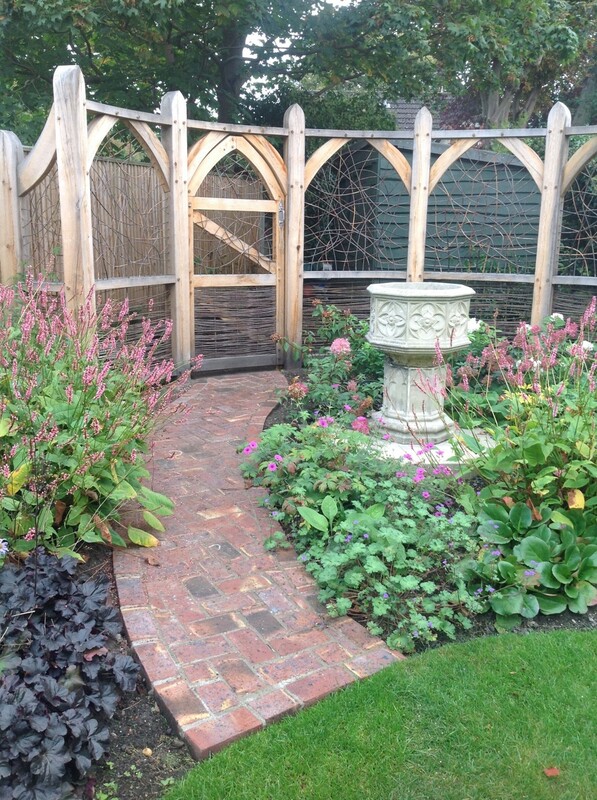 It looks even better as the surrounding planting hides the base and becomes integrated into surrounding area of the garden. Another use for these Victorian chimney pots. One of the most effective things you can add to a garden is lighting. After all, it allows you to use the space after dark and adds a whole new perspective to the garden. Now, you can achieve this simply by adding lights, sure, but why not go the extra step and build your light into something to make it a part of the landscape? But what to build your light into? Why a pot of course! 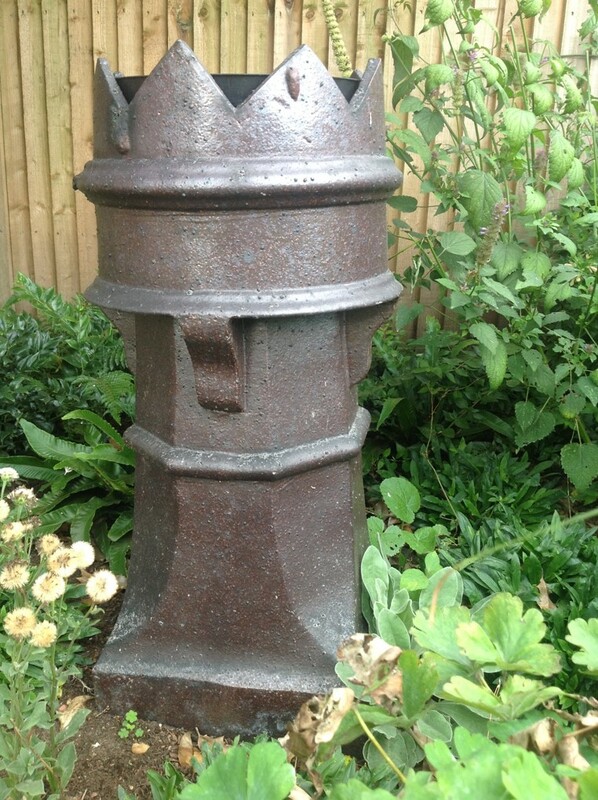 And why not one of the Victorian chimney pots, like this one. The problem with lighting is that the addition of great big lights in a bed or around a patio can end up being an eyesore during the day. By placing your light in a pot you can disguise it as a piece of rustic ornamentation during the day, then have it light up in an interesting and useful way later. You can even use the pot to direct the light wherever you want it, allowing you to use them to accentuate the foliage of a tree or other plants or ornaments. In the example shown here, the shape of the pot itself is highlighted when lit, adding greater interest to this unusual feature. All in all, the good old pot is more than just a tub, it’s a versatile and stylish addition to a garden that’s easy to use and won’t break the bank. So next time you’re thinking of adding that extra something to your garden remember, a pot’s not just for planting.